When it comes to improving your game the best gaming keyboard can be the tie-breaker between you and the opposing forces. The three main points of contact between you and your tech are the keyboard, the mouse, and the monitor. I like to think of these as your pillars. If you’re getting good frames in whatever game you’re playing, then you should focus on improving your points of contact. The best gaming keyboard will be one that you feel most comfortable with and can give you the best reaction time to secure the kill. There are a few key factors in what makes for a great keyboard and we’ll go over, in detail, everything you’ll need to know to decide. Wither your budget allows for the best or you want the best for your budget we got you covered. With that said let’s get into what makes for the best gaming keyboards for 2017. What Makes a Great Gaming Keyboard? When analyzing what makes for the best keyboard for you there are some key elements to consider before making a decision. All qwerty keyboards usually come with your standard key layout and a number pad. However, you’ll want to look at some of the unique selling features that come with keyboards today. Media keys, backlighting, programmable macro keys, swappable caps, etc. You’re going to want to take a hard look at which features are important to you and determine if your budget warrants some of these features. Personally, I find some features gimmicky and not very useful so there’s no reason to buy into the marketing. So, depending on how hard you are on your gaming keyboard you’re going to want to consider the long-term investment of a quality vs cheap gaming keyboard. A good stainless steel or aluminum body can last for years and changeable key caps let you replace them if they get worn down. On the flipside, sometimes we all feel like FPS Doug and want to smash a keyboard which probably won’t go over well if you’ve dropped a pretty penny on one. With RGB becoming standard for gaming keyboard manufactures it is obvious gamers care about the aesthetics of their peripherals. Most keyboards come standard as black but there are some brands expanding to white and brushed aluminum. Whatever it might be, keeping a concurrent theme should be in the back of your head when deciding on a new gaming keyboard. Dome switches give you a great value if you’re not too worried about slight increases in gaming performance. If you’re a more casual sit back and enjoy gamer that doesn’t need a few milliseconds, then you probably don’t need to pay the premium that comes with mechanical gaming keyboards. Mechanical keyboards in recent years have made a comeback and rightfully so. The reason for this is the huge benefits of configuration. Having the ability to choose the switch that caters to an individual is immensely beneficial. Although they do come at a price premium, mechanical keyboards are the new standard for gamers today. Mechanical switches have been come the new gold standard for gamers and with that a few uncertainties about what switches do what and which one is right for you. 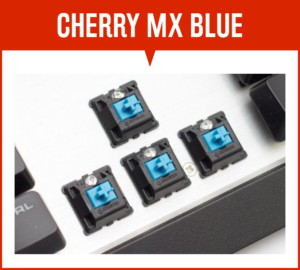 For the sake of this section we’ll focus on Cherry® switches as they cover the spectrum and are applicable to most other mechanical key switches. Before we get into the different switches, let’s discuss the basics. A mechanical switch can be separated into 6 basic parts. 2.) The Stem – The part to witch the keycap is mounted upon. Varies from switch to switch. 3.) Switch Housing – The case in which holds all components together. 4.) The slider – The part that pushes against the spring and interrupts the connection between the metal contact leaves mounted on the side off the switch. 5.) The metal contact leaves – This is what registers when a keystroke strikes another. 6.) The spring – This is what wraps around the base and pushes back the keycap to its original position. Every mechanical switch can be broken down into about 3 separate distinctions each with their own behavior. In general, you should have a good idea which switch suits your needs. • Linear: A smooth quiet and consistent stroke. • Tactile: Contains a small bump near the actuation point depending on switch. • Clickly: The loudest of the three with a sharp click near the actuation point. Each one of these switches have different strengths and weaknesses for any given situation. While linear switches are great if you want a silent mechanical keyboard, they are slightly less effective for typing. With clicky and tactile switches, you can confirm your keypress is made by the feedback. Now if you’re used to rubber-domed keyboards and you want a similar experience you most likely want to stick to tactile.
. Having a feel for the switches gives you the best understanding of how exactly they feel. Reds are recommended for the fastest reaction time for quick gameplay. Having a high actuation point, reds give the shortest distance between a keypress and an action. 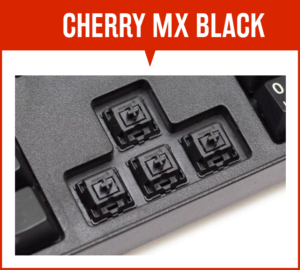 Additionally, Cherry MX Reds are very quiet especially coupled with O-rings. On the other hand, they do not offer the best typing experience as there is no tactile feedback. Blacks are much like reds but offer more resistance to a keypress. This allows for quicker actuation as the larger spring pushes back much quicker than the lighter reds. Granted this also makes finger fatigue more apparent. Blues are the preferred switch for typing as they give the highest amount of feedback in the lineup. A word of warning when thinking about blues, they are the loudest of all the mechanical switches and can be somewhat annoying for others if you’re using an open mic. 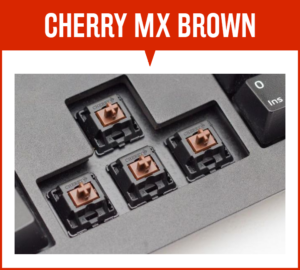 Cherry browns are very much like a membrane gaming keyboard as they have a tactile feel and make for a great middle ground switch. Additionally, they are considered one of the quietest switches on the market. Great if you plan on gaming next to a sleeping baby. Now with a budget in mind and a good understanding of what qualities you want in a keyboard, we’ll go through our top 10 picks of the best gaming keyboards for 2017. If you don’t need all the extra features and want a simple high quality keyboard great for slaying noobs, then you’re in luck. With a limited budget, there are some decent keyboards out there worth your coin. Check out some of our best picks for best gaming keyboards under $50. EagleTec is an unheard-of brand but they knocked this one out of the park with their price point. The KG010 and KG011 respectively both come in right under budget but offer great feeling mechanical switches. 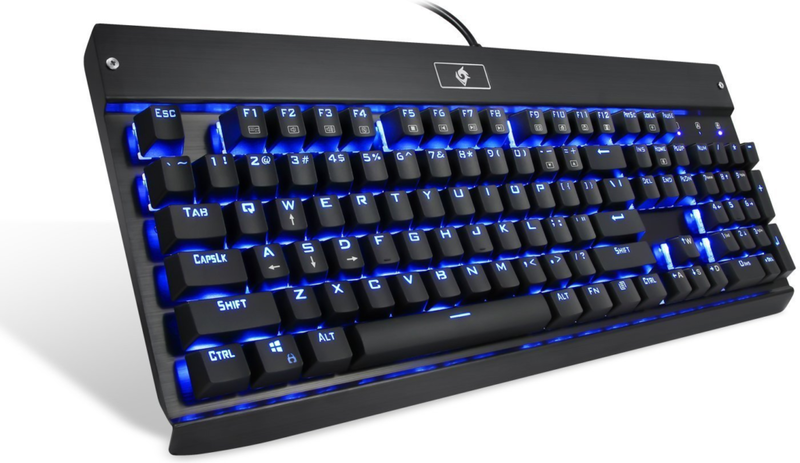 Packed with a full sized key layout and single color bright LED backlighting Eagletec offers a huge value for the price. The Outemu blue switches are comparable to Cherry MX blues but are slightly louder and tend to require more actuation force. It would have been nice to get at least a volume scroll wheel and USB pass-through support but at the price you can’t really complain. A solid buy if you want a cheap mechanical keyboard with great build quality. The Redragon K553 is a fantastic compact mechanical keyboard with a black aluminum ABS foundation and red LED adjustable lighting. Just like the EagleTec this small gaming keyboard comes with Outemu blue mechanical switches which are wonderful for typists but happen to be quite loud if you’re not used to them. The K553 doesn’t come with any extras (not even a numpad), but it makes up for it in build quality and price value. If you’re looking for a great priced mechanical keyboard with no extra unnecessary extras, then check out the Redragon K553. Coming in right under budget the K10 is a great budget cheap mechanical keyboard with a great selection of lighting effects. It has a full sized 104-key layout and has great build quality for its price. Like the others, it comes with Outemu blue switches and no special features but offers a great typing experience without gimmicks. The Sades K10 has much of an aesthetic appeal than the other two as it has more lighting options and comes in both white and black chassis. For just under $50 you really can’t a greater value then these three options and it really comes down to visual appeal. The extra budget allows for much more features to be added that can improve quality of life options or aesthetic appeal. With the more established brands comes a premium price point but they usually offer better warranty services and switch options. While you won’t be picking up the best of the best you’ll still get a great value proposition without many drawbacks for under $100. Corsair makes some excellent keyboards and the strafe is no exception. 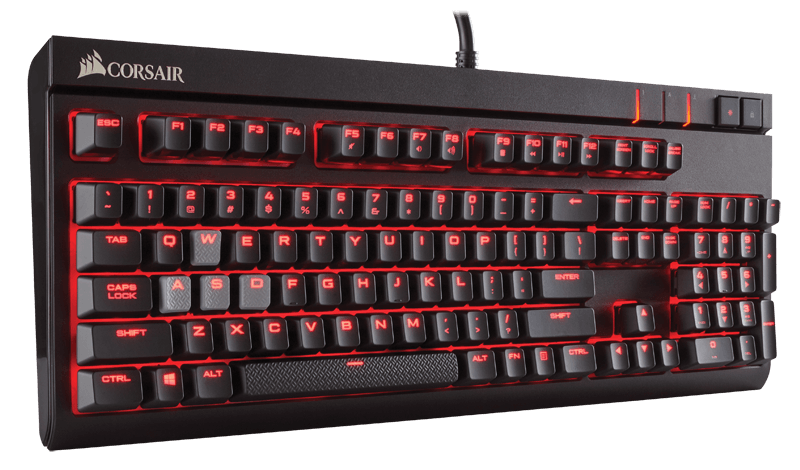 Sporting a full-size layout with your choice of switches that include reds, browns, blues, or their proprietary “silent” switches (much like reds just about 30% quieter) the Strafe is great for all typists. Also, the features included are a wrists rest, multi-media keys, and a USB pass-through that’s great for your mouse. The Corsair Strafe also includes RGB lighting for a $30 premium which comes with their customizable software for some great effects. Overall the strafe has everything you really need if you don’t utilize macro keys or you don’t mind not having a volume scroll wheel. While the Masterkey Pro M is an unusual keyboard with a 90% layout it does have fantastic build quality and a choice of blue, brown or red Cherry key switches. 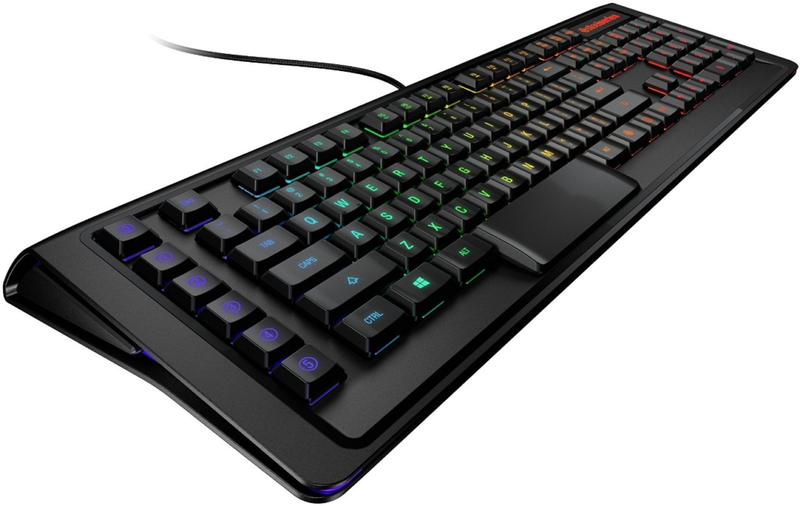 This gaming keyboard also comes with 16.7m color RGB lighting with on the fly profile programming and switching. A great addition to previous models. Cooler Master has come out with a great choice for travelers as the small form factor plus detectable cable make it easy to pack away in a bag. The colors on this gaming keyboard pop well as there is a white back plate that helps disperse color. A great addition to the CM lineup and one of the best keyboards of the year. 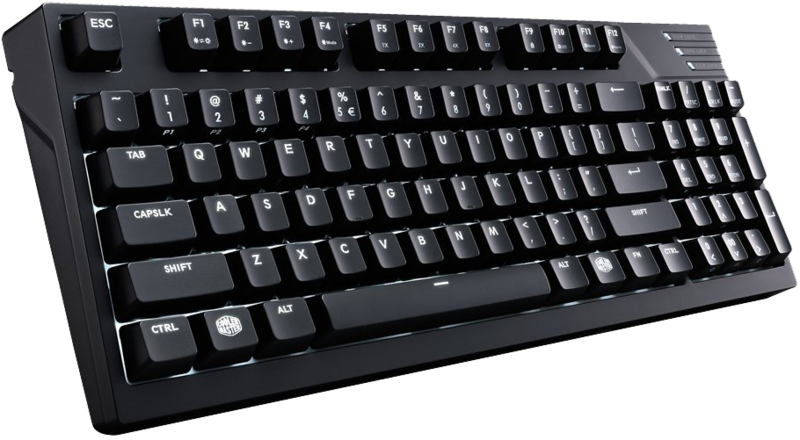 The Alloy FPS is another high quality, low overall feature set keyboard geared toward gamers specifically. Coming in stock with Cherry MX blue switches, this keyboard is full sized and they even packed in a USB charging pass-through. A welcome addition to our lineup of the best gaming keyboards for 2017. While it would have been nice to get RGB lighting the red backlit keys do the job well. HyperX included interchangeable WASD keys if you want a textured feel for finding them quickly. Overall, it’s not the best keyboard of the year but deserves its place in the top 10. If you got the spare cash and you don’t want to settle, then these are the best gaming keyboards for you. You’ll see a lot more features on these as the budget allows for more. It’s no surprise I’m a big fan of Corsair and the K95 RGB is no exception. She comes with every bell and whistle except for audio pass-through. The wrist rest has great build quality if you’re into that sort of thing and the macro keys are plentiful. 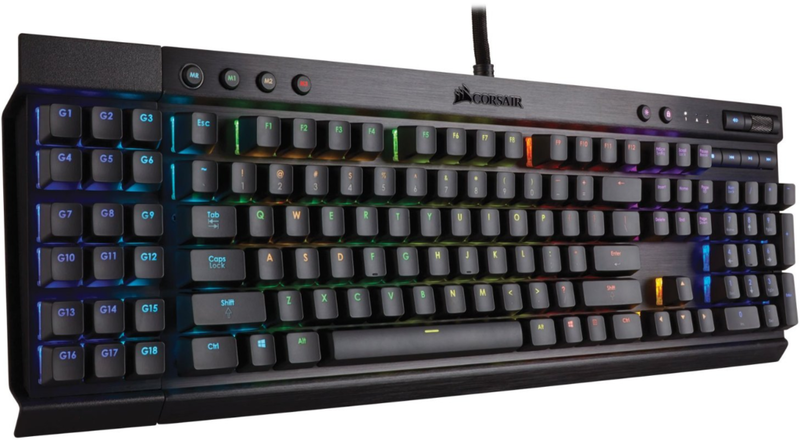 Furthermore, the Corsair K95 RGB has Cherry MX Red switches which most gamers prefer. The lighting on the K95 is great and the software is insanely customizable. It would be nice to have a white board to help disperse the light but it’s not really a big deal. Additionally, this keyboard is huge and weights a ton but that doesn’t mean that it’s a bad thing. Couple this with Corsairs MM300 and you’ll have quite an amazing set up. Ducky is the company many pro gamers turn to for their keyboards (that is if they’re not using their sponsors keyboards) and rightfully so. With absolute exceptional build quality and professional gaming oriented design the Shine 5 is a great new release from Ducky. With that said you won’t find many additional features on the Shine 5 but they do come with full RGB backbit Cherry MX blue switches and a full-sized key layout. If you’re looking to become a big name in gaming, then you should probably pick one of these up as I cannot praise Ducky enough. 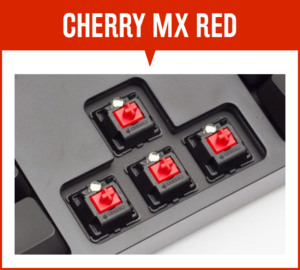 The Apex M800 uses QS1 switches which if comparing to cherry would be like MX reds with an O-ring. They have a give when bottoming out which is nice. Aside from the switches she comes with full programmable RGB lighting, 6 customizable macro keys, dual USB pass-through and an extra-large spacebar. 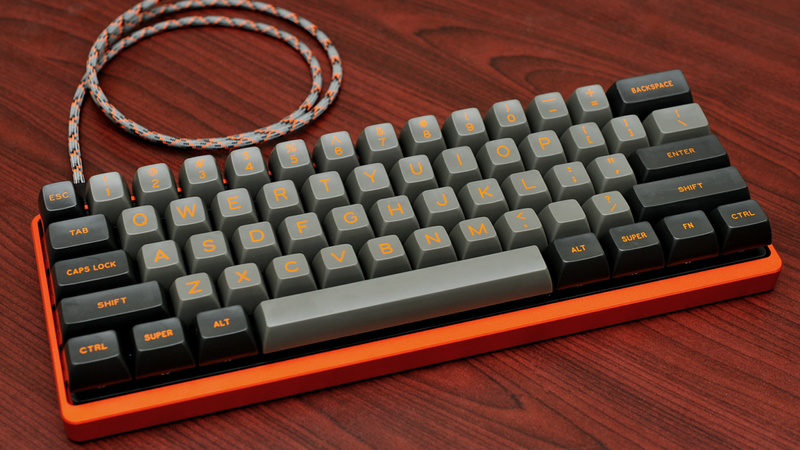 A very interesting design but it’s SteelSeries best keyboard to date. Moreover, the M800 has great build quality and a full-sized key layout. If you’re looking for a keyboard with all the bells and whistles then maybe the Steelseries Apex M800 is for you. 2016 was a great year for keyboards. Mechanical switches have taken back off and RGB is basically standard with every new gaming keyboard. We’re looking forward to CES in the next couple weeks and hope to preview what this year has in store for us. Thank you for checking out our review for the best gaming keyboards for 2017.